Business owners start what they’re doing because they have a passion for their product or offering. They go through rollercoasters of emotions, unexpected challenges, long hours and lone decision making because they relish in seeing their hard work pay off. They need a financial institution that supports these passions, is ready for the challenges, and gives smart advice for financial decisions. Are you the financial remedy? Then it’s time to reach your customers. A business owner may have an office, but they’re rarely found sitting behind the desk. They’re on the go, always multitasking, and they expect those around them to work just as hard. They’re looking for financial support and want a bank that can fit specific needs. Things like cost of doing business, availability of banking service and opportunities for new capital are top priority. Let’s look at a real world example: For years surveys of small business owners reveal one of the biggest challenges is funding. In the last year 63% of business owners reported difficulty getting a loan, and 77% decided to start a business relying on personal savings entirely. Knowing challenges like this creates a huge opportunity to reach your customer where they are most likely to listen. Create a conversation all about them. Share what you’ll do for them, and give them a chance to respond back. Gallup found that only 29% of B2B customers are currently engaged, but that if engagement happens it leads to higher revenues, profitability and share of wallet. It’s all about engagement. Be what they need when they need it. Understand their priorities and prove you’re there to support each one. How can you get an indifferent and busy audience to pay attention to your bank? 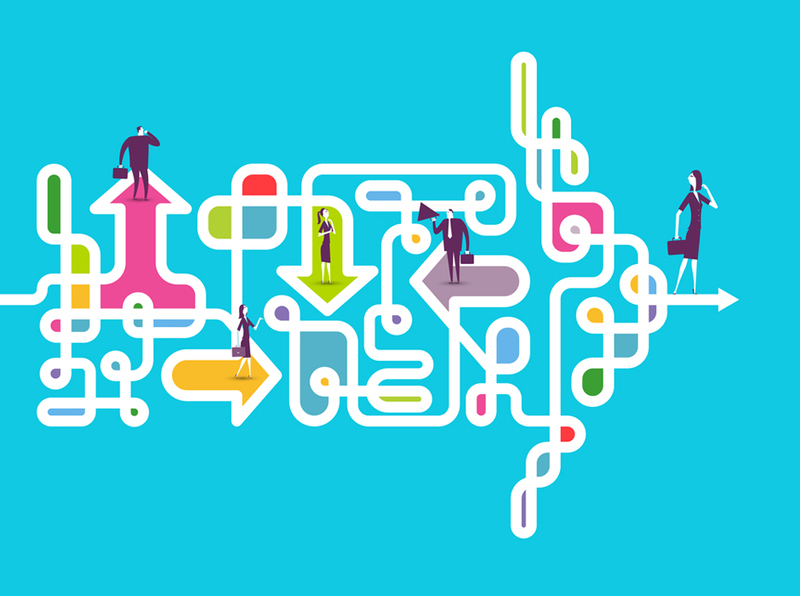 The marketing landscape is vast and quickly changing, but there are core ways to connect with the customer, and stand out from other messaging. The best way to have a marketing message that works is to plan a marketing message with purpose. This may seem like a simple answer, but the fact is many financial institutions, although spending the second highest amount for sales leads, don’t plan with purpose or measure their return on investment. Does your bank have short-term and long-term marketing goals for business? Financial institutions often forgo budget for marketing, especially long-term, because they feel ROI isn’t immediate enough to justify spending money. In fact, for the second year in a row, financial execs have cited insufficient budgets as a main issue holding back their messaging plans. Good planning can lead to strong return on investment, and make sure marketing dollars go to the correct place. In Start with what makes your bank stand out. What are your overall brand message, key customer service points, or differentiating business bank features? You can probably answer all this because you provide the services, and believe in what you do—but do your customers know any of the answers? To grow, and maintain, customer confidence you need to prove what you stand for by keeping your core values constant in all you do. When you share your values through messaging and actions, you build trust with your customers. Let them know you have a passion for supporting their passions. Financial institutions often forgo budget for marketing, especially long-term, because they feel ROI isn’t immediate enough to justify spending money. In fact, for the second year in a row, financial execs have cited insufficient budgets as a main issue holding back their messaging plans. Good planning can lead to strong return on investment, and make sure marketing dollars go to the correct place. 1. New business owners are less organized, new to financial services and needs, and more likely to encounter unexpected operation costs. Your bank can reach this group by proving your expertise, services and technology will help them plan for the future. 2. Unhappy business bank customers have experienced bad customer service, rate changes, or any number of things pushing them to bank elsewhere. Banks can appeal to this group by showing a commitment to customer service, product options and the low fees they are looking for. 3. Growing business owners face leadership changes and business expansion that may have them looking for a new bank, although the thought of transferring banks seems like a daunting task they don’t have time for. To attract these customers, banks need to give assurances that the process can be smooth and beneficial for the business. This may be a place where cash incentives or no-hassle guarantees can push for stronger engagement. 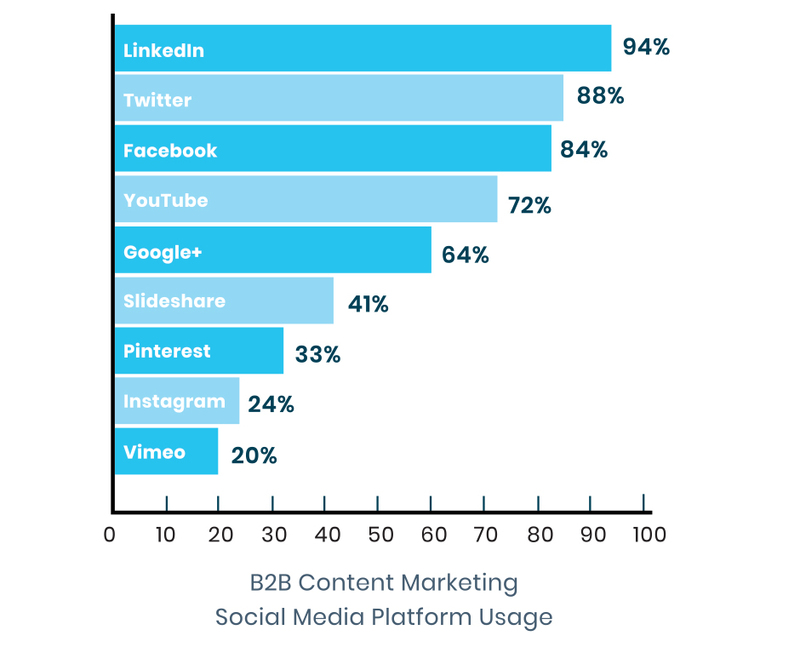 A recent study showed that 94% of B2B marketers agreed that LinkedIn was the most effective social platform, while another survey showed 73% of people use Facebook for professional purposes. Along with this, industry-specific forums are five times more popular than Twitter with B2B audiences. Social areas like these can easily lend themselves to engaging two-way conversations. Your audience is most likely in multiple places these days, so tailoring your messages within each platform can be key. Beyond social sites, many business owners can still be reached through more traditional means. Over half of CMO’s say print, TV and direct mail are effective marketing channels; with 56% of digital marketers saying email is the top retention platform for digital. While these places may not feel like direct two-way conversations, smart messaging can engage an audience and incite a positive response. When you know your audience, and what you have to offer, it’s time to figure out how to actively engage them. Through all messaging it’s important to emphasize what they’ll be getting from your bank—everything should be about the customer’s needs being met. According to recent research, today’s sales process takes 22% longer than it did five years ago, and 80% of business decision makers look for company information over a series of articles versus one advertisement. Your bank needs to stand out to attract the audience, then stay active to keep them interested. Making your message about the customer is the first step to actively engaging. You aren’t just telling them something; you are starting a conversation they can be part of. This takes a deeper marketing plan and more strategy, but as stated earlier, it leads to higher conversion and stronger trust. Think about how your bank engages with business owners. Do you have a marketing plan that proves your passion, forms lasting relationships, and engages with business decision makers? Do you know what platform your target audience is most receptive, and how to actively engage them for stronger conversion? These are the questions ad agencies and marketing professionals spend hours researching, and finding the answers is what leads to engaging messaging and strengthened loyalty for current and future customers.